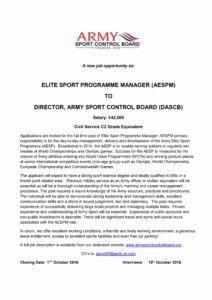 Applications are invited for the full time post of Finance Manager to Director Army Sport Control Board (DASCB). The ASCB acts as the governing and regulatory body for sport in the Army. The ASCB has recently restructured to take account of what is being described as a ‘seminal moment’ for sport within the Army: having now completed almost 15 years of operational engagement, there is an opportunity to develop sport within the Army so as to enhance the Army’s national reputation and to ensure that participation in sport returns to being a significant element of the Army ‘offer’ for both recruiting and retention. 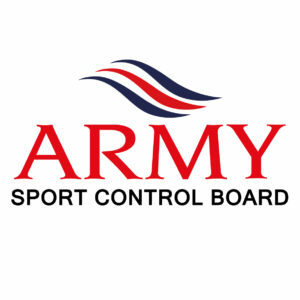 The ASCB is both a Board of military members responsible for the conduct of sport in the Army and also an Independent Charity responsible for the generation of non-public income for the wellbeing and development of sport in the Army. The Finance Manager will: provide financial advice to DASCB and the Board of Trustees; be the Fund Accountant for the Charitable Fund, Grant in Aid and sport sponsorship; and supervise the Accounts Assistant who manages the ASCB Central Bank. The Finance Manager will lead all income generation through both the Army Sports Lottery (ASL) and sport sponsorship, and for the assurance of all sponsorship activity. The incumbent will lead and manage the necessary preparation of accounts for submission to auditors, through DASCB, and on to the Charities Commission. The Finance Manager is required to assume the position of Promoter of the ASL and, in conjunction with the Lottery Manager and his team of three staff, continue to sustain and develop the ASL as the primary source of non- public funding available to the ASCB, and ensure its continued operation as approved by its regulatory body, the Gambling Commission. The individual will be required to be the line manager of up to five staff and a member of six committees. We offer excellent working conditions, a friendly and lively working environment, a generous leave entitlement, access to excellent sports facilities and even free car parking! The post is bi-analogous to the Civil Service and commands the same salary grading, plus participation in the Civil Service pension scheme.